Travel backpacks are not the same as those intended for extensive treks into the wild. Travel can take many forms which is why people don’t use exclusively suitcases. The backpack should be able to take anywhere and size must be appropriate to your body and the amount of stuff you have to take. Waterproofing must be considered along with security. Lockable zips are a good precaution. Some can have detachable day packs.They must be comfortable if you don’t know how long you will have to wear it per day. An internal frame is a good idea for travel to support the back when carrying heavy loads. Lastly it should be remembered that a good backpack can last years if not decades so that should also be borne in mind when considering value. That said, we will now consider ten of the options. Mountaintop are a value choice for the not entirely committed adventurer. 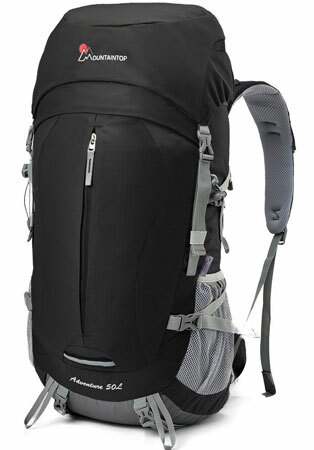 The 70L pack has plenty of features but lacks robustness. Internal frame, Ten compression straps to lock down the contents into a non moving mass, water bladder with side access for hydration, extension drawstring that can increase the capacity by 5 liters alone, torso length adjustment to facilitate any height of user, hi-vis rain cover, sleeping bag compartment with divider, sternum strap with attachments, lots of attachment points for added ease of access, and a 90 day warranty. Useful and value for money, but plastic clips, cheap materials and stitching and a lick of design innovation (it is clearly copied from other more expensive models) make this something you would want only as a backup or emergency bag, or only for light traveling. It would be horrible to find tears and broken clips in the middle of a wilderness especially if you were in another country. The smaller version has one overarching advantage on the larger version: it can (or at least has) be carried on to aeroplanes. It still has the internal frame and bladder options and 6 compression straps but the sleeping bag compartment has gone. Complete with hi-vis rain cover, sternum strap, padded breathable back and shoulder straps. Straps are not adjustable as in the larger version, and the cheapness of build still stands. A value buy but not for the serious traveler. 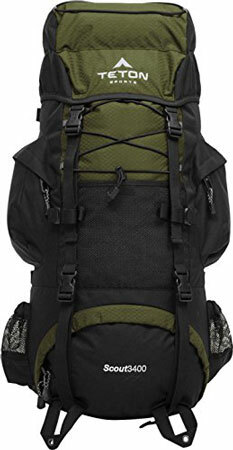 This is a 65 liter 5lb backpack with torso adjustable support, waterproof zippers, excellent padding on the back to allow for air flow and waist belt for secure support, daisy chain loops on the front to hang gear off, can accommodate a 3 litre hydration bladder, sleeping bag compartment, internal frame, hi-vis rain fly and 600D diamond rips top. A lifetime guarantee is a special thing not every backpack has. The pack does seem to lack durability however so the value price tag should be borne in mind. I would not like this as my only option for a long rugged trip, but it is not bad for a value backup, for a car for instance. According to North Face the Terra 65 litre backpack has been completely re-tooled with a slimmer user friendly design that is lighter for all day comfort. A refined OPTIFT harness system offers improved load control by hugging the body better without sacrificing ventilation. One look at this pack allows you to see the engineering that went into it. Comes in sizes for a good fit and zipped side entry to the main compartment, and a sleeping bag compartment and seven pockets for instant access. The North Face’s warranty is lifelong and includes free postage, so they must be confident about the quality of the item. Expense is only relative when you take this kind of quality into consideration. 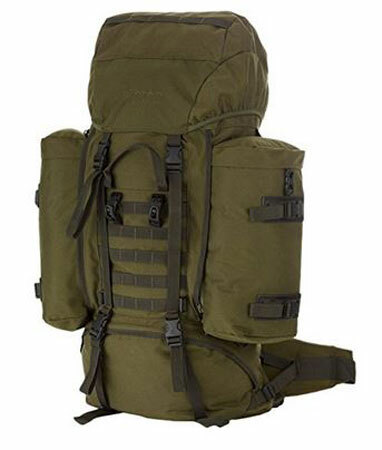 This is a low on looks but bombproof military style backpack made of 900D super durable waterproof nylon. 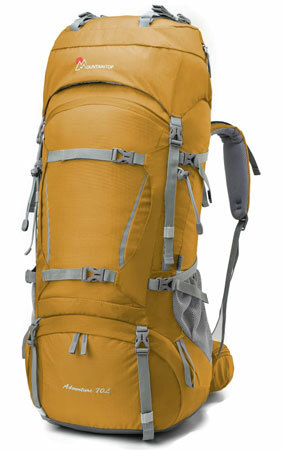 It has good features for the price and the two side packs can increase the 37L size to increase the payload. 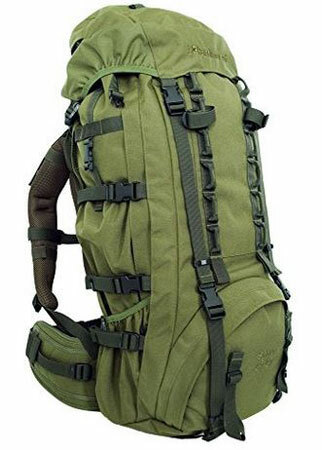 Adjustable straps and buckles allow the pack to be compressed if need be, and very simple inside without lots of pockets and pouches and molle on the outside for added pouches if that is your thing. No internal frame so I would not like to use this for extended periods of time,and no adjustment for the size of the individual. However, if you’re looking for a very rugged pack that could take some serious damage at a very competitive price, then this is it. The Osprey Farpoint is one of the more stylish backpacks out there, with sleek ergonomic and aerodynamic design that suggests that care has been taken with getting it right. 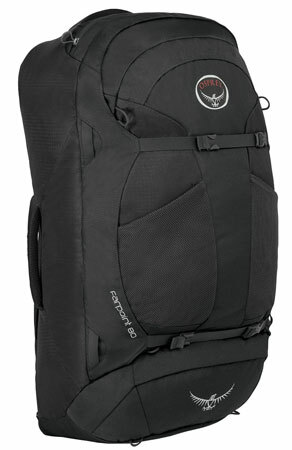 There is a zip away spacer mesh backpanel with ventilation which means that the Osprey Farpoint 80 and be packed like a suitcase and carried as a backpack. Sleeping bag compartment with divider, internal compression strap, lightweight peripheral frame, panel zip with lockable zips, and carry handles help with treating this like luggage at airports.Dual mesh front pockets for whatever you will use constantly help keep this a practical travelling backpack, and the Daylite attachments can be used to add an optional daypack. Not a cheap option but definitely versatile enough to consider, especially if you are in a group. The size adjustable back system of the Karimor SF Sabre 60-100 Backpack allows on-the-back and on-the-move adjustments to be made without removing the backpack, saving time and soreness. The large main compartment has a separator that allows easy access to the bottom of the pack. Side pockets can also be attached. 1000D nylon with a water resistant coating guarantees to keep valuables safe inside as does the hooded top with a zip compartment. 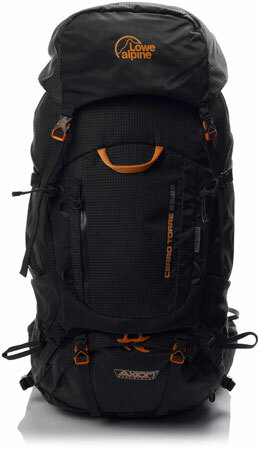 The expandability of this pack is its real advantage over the others making it super versatile for travelling with whatever you pick up along the way and the pack has a great reputation among seasoned travellers. 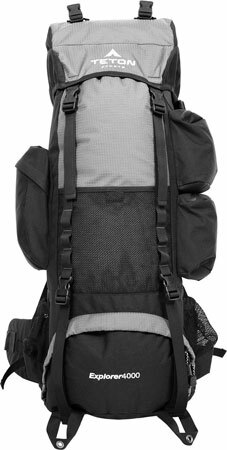 This is a great value backpack with adjustable torso length, side and front compression straps, sleeping bag compartment and bungee stashes on the front and top for shoes, jackets, etc. Rugged internal frame and hi-vis rainfly, 600D diamond ripstop nylon material for reasonably rugged adventures and two sets of side pockets, one enclose, the other open mesh for water, though it is compatible with most hydration systems. There are lots of small pockets throughout the bag if that is your thing, and comes with a lifetime warranty. Might not be the most durable but certainly a decent value buy, perhaps for a beginner. Lowe are stalwarts of innovation and design excellence. Their Axiom 7 back system is nothing short of brilliant and the design astuteness can easily be seen in the elegance of the visuals. The material is unique custom material patented to them and gives abrasion resistance and durability. The rotating hip belt helps distribute load and reduces abrasion, while the expandable capacity allows you to carry more gear when needed, hence the 65:85 figures. It is hydration compatible, has a load lifting handle, front pocket for easy access, raincover, divider in the main compartment and the sleeping bag compartment, front and lower entry and, of course, the Axion 7 back system that allows adjustment while the pack is being carried. Pricey but still good value at that considering the build quality and the legendary reputation it has among those who know. There is nothing wrong with buying a budget backpack if you are not sure where you intend to take your travelling. Backpacking may not be for you, suitcases and hotels may end up being more your thing. 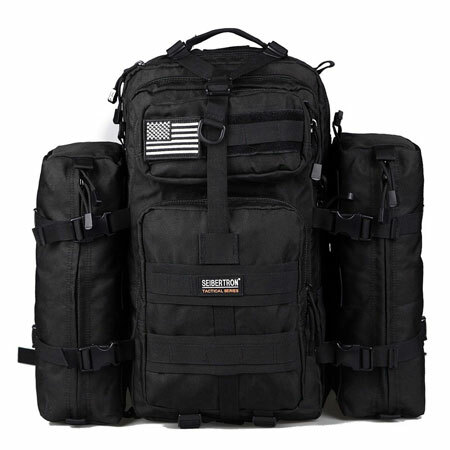 Of the budget alternatives I personally would always go for the military style given the trusted durability of such a pack. Therefore the Seibertron Falcon would be my choice here. If I was planning a long trip overseas in potentially rough terrain with lots of unknowns I would go for the tried and tested Lowe Alpine Cerro Torre. It’s outstanding design features mean that every inch and every ounce is packed with features to help get me from hell to high water. If I simply did not know what to expect from a trip I would take the North Face Terra 65 Exploration Pack which is versatile enough to make up for its compactness. Whatever you choose always consider the value you are getting from your options.